Liverpool has 2 periods in a year in which they are the most popular team on newspapers and this year is no different. Those two periods are the transfer markets. Liverpool have been suffering a bad half of the season and so they are trying to take the easy option: buying players. 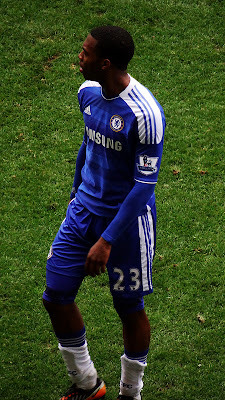 Through the articles and the news, it seems like they've already bought one player "Daniel Sturridge"
23, English, Striker, Chelsea. Sturridge has been at Chelsea for quite a while now, and every year he has been given quite a decent amount of chances. However, even with Drogba gone and Torres not having his best form, he has only played 7 matches and scored 1 goal. Chelsea and Benitez in particular have chosen to sell him this January if a high enough transfer money is paid. Liverpool, which tried to buy him this summer, has chosen to pay the prices and get the striker they needed so badly. Everything up to now makes the story sound quite decent and a good deal for both clubs. But to every story, theres a down side. The price they paid was 12, 000, 000 £. Needless to say, RIP OFF. In reality, he wouldn't even cost half his price if it wasn't for liverpool's desperate need for a striker and Sturridge's age. That's all the Bad, but there are a few good sides to this transfer too. Most importantly, he is a striker we needed, though maybe not the best. He is the right age, not too young but still has room for improvement. He can play on wing too, so he should be able to play along side Suarez. The final aspect of his is that he scored 11 goals in 30 matches last season, slightly better than Welbeck in Man U. It's all up to Sturridge to make this transfer a good one or not, so all fans can do is to pray that the 12 million £ wasn't just thrown in the drain.